MR2567 “Loan Samburu warrior” – The fringe of the hair is also used to shade their eyes from the blinding sun. 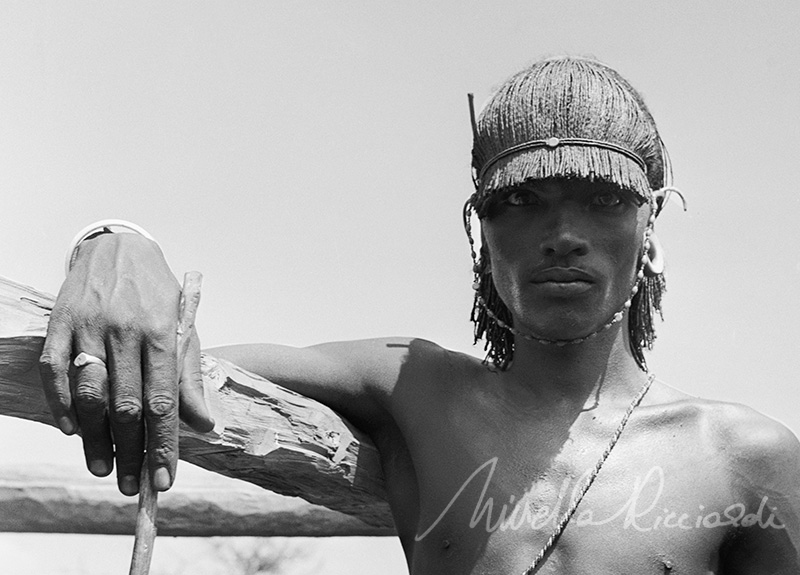 This muuran (Warrior) Inspired John Galiano’s Christian Dior Africa Collection. Northern Kenya East Africa – Silver Print VA Collection 1954. One of Mirella Ricciardi rare first images.